What Makes a Good Mental Health Nurse? In 2006, after a career in the baking industry in which I was a full time TAFE Lecturer, I moved into the non-government organisation mental health sector to take up a training development opportunity. The BCSA/MIFSA Peer Work Project was tasked with developing training for a relatively new role in mental health – Peer Work. Effective Peer Workers are professionally trained to support recovery in others and improve service delivery, by drawing purposefully and skilfully from their lived experience of mental illness and recovery (as a consumer or carer). It was during delivery of one of the early courses that I heard the stories of two amazing women, who had both experienced perinatal mental health issues. I gave birth to my beautiful son in 2005 and from early in pregnancy, I knew things weren’t right. I had an inkling it may be mental illness but reassurances from a well-meaning nurse had convinced me that it was just the baby blues and would pass. Things were incredibly difficult to manage. I was juggling a baby, house, working almost full-time and all the while trying to appear to my husband and everyone around me that I was happy, healthy and coping beautifully. The truth was far from it. Hearing those stories was the first step in realising that recovery was possible. That a person experiencing mental illness could have choice, control and live a meaningful life. I tentatively spoke with people who had been through similar experiences, gathered information and researched support options. It was a few months later, when my resilience had been completely depleted and I was at my worst, that I finally asked for help and never looked back. I consider myself privileged to have worked with in the non-government mental health sector for the past 11 and a half years, developing and utilising my unique lived experience skill set. I often tell people that I never would have chosen mental illness (who would?) but the reality is, as dark and hard as it got, I am a better person for having been through it. I can’t change or control situations, events or other people. I can only control the way I respond to them. For me, these two concepts are inextricably linked. After initial diagnoses of Perinatal Anxiety and Postnatal Depression, exploration with my health professionals resulted in an additional diagnosis of Generalised Anxiety Disorder, present since childhood. This is something I manage day-to-day. Developing strategies can be overwhelming. It took time to try things, discard or adapt them and experiment with routines until I found things that have a positive impact on my wellbeing. I’ve learnt to be flexible and adaptable, responding to times when life gets in the way. Physical: healthy food and portion sizes, occasional treats, lots of cycling – challenging myself physically and mentally with the hills of the beautiful Southern Vales! Mental: practising Acceptance and Commitment Therapy, meaningful employment, time out to relax, spending time with my son and exercising my inner child (we love Star Wars and Lego!) Being creative, practising mindfulness when I’m out cycling. And as I live and breathe mental health at work and home, getting away from it for a while is helpful. Spiritual: ensuring my beliefs and values are at the forefront of everything I do in life. Social and emotional: family, friends, and community. Connecting with others who have similar values gives me a sense of belonging, value, worth, self-esteem, feeling loved and giving love. “If I had met a Peer Worker in the early days of my diagnosis, ten years of my life would not have been lost.” One of the Introduction to Peer Work course students in 2006 made this statement. There is research and evidence that demonstrates the effectiveness of peer work but nothing says it quite as powerfully as the voice of someone who has experienced it. I too can speak from experience; had I not heard those two stories, I may not be here at all. As I said earlier, I feel so privileged to be in a role that values lived experience as my main essential skill set. To have been able to train peer workers, become one and now be in a leadership role is an incredible honour. My hope for everyone touched by mental health issues is that you too have the opportunity to meet a Peer Worker. You will never be the same. Belinda is the Senior Project Officer for the Mental Health Coalition of SA’s NGO Lived Experience Workforce Project (LEWP). 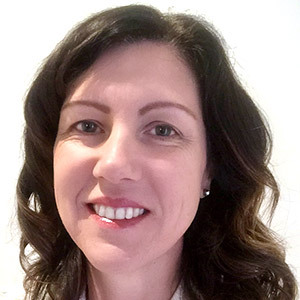 Joining the NGO Mental Health sector in 2006, Belinda’s expertise in Adult and Vocational Education was invaluable in the development of SA’s first Mental Health Peer Work training program and the pilot Certificate IV in Mental Health Peer Work. Belinda uses her lived experience skillset to train, inspire and support others, providing hope that a life in which mental illness is one part, not the whole, is possible. We are always pleased to hear your views! The SA Mental Health Commission is always pleased to hear from you on any issue. 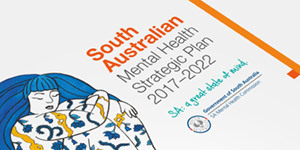 The SA Mental Health Commission is not a mental health service provider and does not have a formal role in individual complaints or concerns about services. These matters will be referred to the appropriate agency such as the Health and Community Services Complaints Commissioner SA www.hcscc.sa.gov.au or the Office of the Chief Psychiatrist. Acknowledgement of Country: The Commission respectfully acknowledges and celebrates the Traditional Owners of the lands throughout South Australia and pays its respects to their Elders, children and young people of past, current and future generations. The Commission advises Aboriginal and Torres Strait Islander visitors that this website may contain images and stories of people who have passed away.